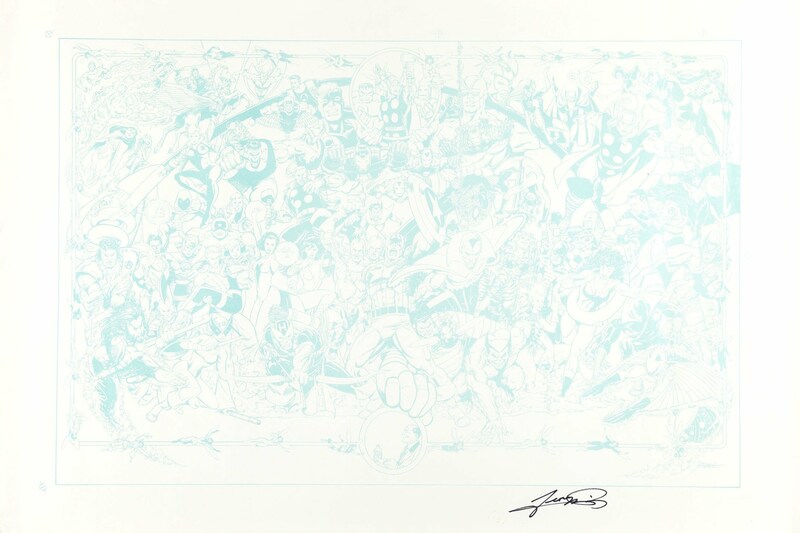 When George Pérez first turned in his panoramic cover to George Pérez's Sirens #1, we printed it out and taped it to a wall in the office and basked in its magnificence. So why not give everyone else that opportunity? This gigantic, recolored poster featuring the characters of Pérez's first creator-owned series in over 10 years will look fantastic on your wall! Updated shipping information for BOOM! Studios comics and products being released beyond the week of 11/26/2014, provided by Diamond Distribution and our friends at Things From Another World. This work is licensed under the Creative Commons Attribution-Noncommercial-Share Alike 3.0 United States License, and is © 1995-2014 Charles S. LePage. Award-winning comic book publisher BOOM! Studios is excited to announce it will return to the city of Orioles, crab cakes, and The Wire this year to once again exhibit at Baltimore Comic-Con, which will take place at the Baltimore Convention Center in Maryland, during the weekend of September 5-7. The publisher is also sponsoring the appearance of comics legend George Pérez, whose first original series in over 10 years, George Pérez's Sirens, will debut at the show with an exclusive BOOM! Studios variant cover. Other BOOM! Studios creators also appearing at Baltimore Comic-Con include Brian Stelfreeze (Day Men), David Petersen (Mouse Guard), Eric Powell (Big Trouble in Little China), Frank Barbiere (Black Market), James Tynion IV (The Woods, Memetic), Jeremy Bastian (Cursed Pirate Girl), Justin Jordan (Deep State), and Marguerite Bennett (Sleepy Hollow, Butterfly). More guests will be added, so be sure to visit the BOOM! Studios booth (#2001) for the updated booth appearance schedule. For $30, fans can purchase a customized illustration of their choice on a blank sketch cover of an Adventure Time, Bee and PuppyCat, The Amazing World of Gumball, Steven Universe, or Regular Show comic. BOOM! Studios is nominated for 30 Harvey Awards, whose winners will be announced during a ceremony and banquet held during Baltimore Comic-Con on Saturday evening, September 6th. The Baltimore Comic-Con will be held Friday, September 5 through Sunday, September 7, 2014, at the Baltimore Convention Center, which is located immediately across the street from the historic Camden Yards sports complex (which includes Oriole Park and Geppi's Entertainment Museum). Tickets, a full guest roster, and additional information is available on the convention's website.